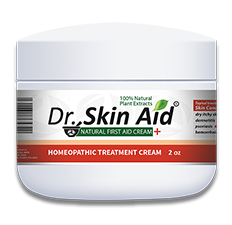 Dr. SkinAid® Homeopathic Cream is made from quality natural healing ingredients. Our formula is made from a complex blend of concentrated medical grade ingredients, including: 10x, 20x, 30x HPUS Argentum Metallicum (Colloidal Silver – active ingredient), Emu Oil, Bacillus Ferment, L-Lysine HCL, Tea Tree Oil, Phytosphingosine, and Ceramide 3. Our active ingredient contributes broad spectrum health aiding properties in our unique formula. 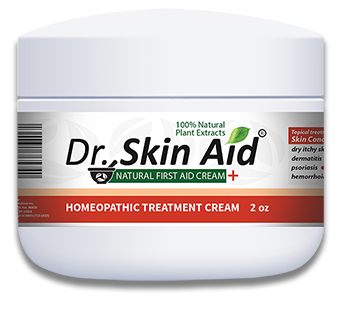 Dr. SkinAid® Treatment Cream does not contain chemicals, artificial preservatives, lanolin, alcohol, parabens, steroids, petrochemicals, or fragrance.